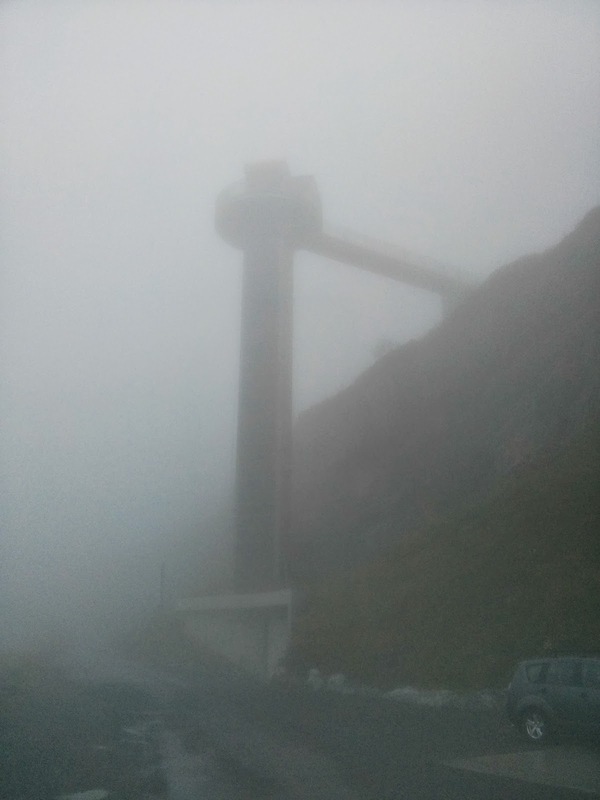 Felipe, Jan, Ivan and I ignored a weather forecast predicting thunderstorms and rain and took the cable car up to Melchsee-Frutt in order to climb in the huge bolted crag "Boni". It features some 150-odd routes in all difficulty levels, one after the other. Our gamble payed off big time. The weather turned out perfect, almost too sunny and hot on the south facing wall. I teamed up with Ivan while the Brazilians made the second rope team. We climbed the first couple of routes together, but at some point we lost sight of one another. As it later turned out they had topped out on a route and found themselves on the grassy meadows above the crag, without a good rappel anchor. Thus they decided to walk back to the lake and take a swim. Succumbing to the lure of cold beers after that. The lake, Titlis (3238m) in the background. The crag. Or rather, half of it - more to the left. Terrible, terrible weather. We've been suffering so badly. We joined up with the others at our hostel and replenished our dehydrated bodies with beer. Steaks and fries for dinner. Good times! Next morning: There's a frickin' elevator down to the lake.